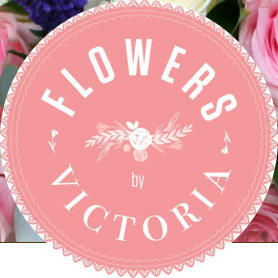 Flowers by Victoria is a unique floral design company created and run by Victoria Trask. Victoria’s love of flowers and artistic talent started at a very young age from when she was given an area of her mother’s garden to create flower beds. She filled them with herbs and cut flowers and would sell surplus plants and flowers at the front of their house. 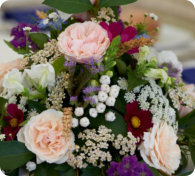 Her interest in flowers grew while working weekends and school holidays at Green Sleeves Nursery in Somerset making bouquets and posies for customers. 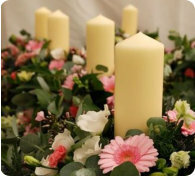 Victoria then went on to gain a City and Guilds in floristry and a degree in horticulture. She moved to Hereford and was offered a full time job in a florist shop. In 2010 she left the retail industry to pursue her love of weddings and set up Flowers by Victoria. Since then Victoria has also set up Green Goddess Garden Design, a garden design company that offers a full design service to any size of outdoor space and provides great attention to detail. In May 2010 she designed and created the show garden ‘The Maypole Garden’ at the Malvern Spring Gardening Show which received a prestigious Silver Gilt RHS medal. 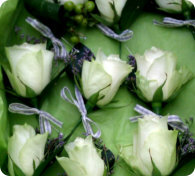 Please visit the Flower Gallery to see some photos of our lovely creations.